Chiropractic care targets on the intervention, diagnosis, and prevention of mechanical diseases. Chiropractic depends on a procedure of identification of disease and care utilizing the approach where the nervous system coordinates all of the operations of the body, and also that malady results from a lack of optimal neurological operation. According to Dr. Aaron Richardet, chiropractic care aims to restore the body’s natural neurological function and therefore allow the body to correct these ailments through its innate ability to heal itself. Chiropractic is generally used to take care of back and neck discomfort, and yet chiropractic care may also be used for the treatment of other neuro-musculoskeletal problems, for example, the pain of the joints within the arms or legs, and even headaches. The main chiropractic treatment method involves manual therapy, consisting of an adjustment of the spine, other joints of the body, and soft tissues. The treatment plan can also include exercises as well as health and lifestyle guidance. 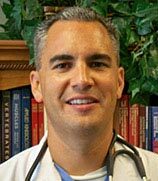 Doctors like Dr. Aaron Richardet do not recommend prescription drugs or perform surgeries, although they do refer individuals for such treatments if they are clinically indicated. When it is about personal well-being, the vast majority are exceptionally skeptical about trying unconventional treatment options. There are such a significant number of myths that encompass alternative treatment. These myths eventually result in the dread of trying anything other than the conventional medical treatment. The major 7 myths about chiropractic treatment are– It is excruciating, it is excessively costly, it is not approved scientifically, it is a long-lasting dedication, chiropractors are not “real physicians”, it is risky, and chiropractic treatment can just treat back pain. Allow us to debunk these common myths. “Chiropractic care is an excruciating procedure”. Spinal and joint adjustments are basically pain-free. 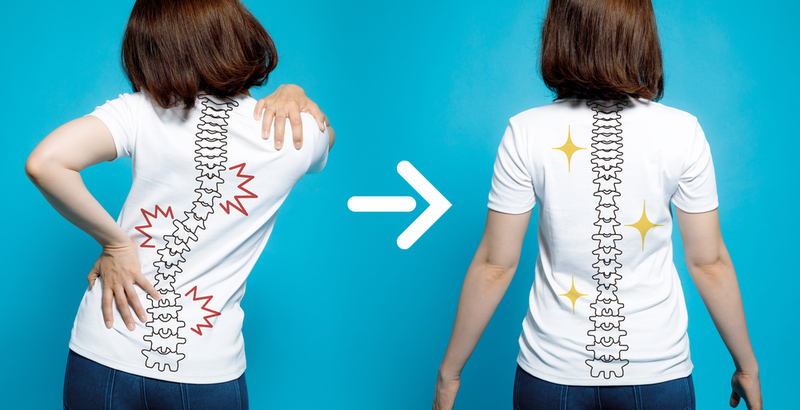 Most patients feel instant pain respite right after the first treatment session. There are a few situations where patients will encounter some pain and inflexibility at the adjustment area, exhaustion, and/or muscle spasms, headaches. Everything relies upon the patient’s well-being and physical conditions/wounds, yet most don’t face any pain amid or after the session. “Chiropractic treatment is excessively costly”. When you analyze the cost of conventional techniques of treatment, chiropractic treatment is just a small amount of that expenditure. The workman’s comp of the state of Florida performed a study on this. The board conducted a research in 1988 which demonstrated that the normal cost per patient for chiropractic treatment is $558 as contrasted to $1,100 per patient for traditional medical treatment. “Chiropractic treatment doesn’t have scientific proof”. There are various surveys, which can be discovered on the web, that validate the legitimacy of chiropractic treatment as a feasible alternative to conventional techniques for medicinal treatment. Chiropractic treatment is mentally and physically helpful, does not have many side effects, and is much more financially savvy when contrasted with conventional medical treatment. When performed under an experienced name like Dr. Aaron Richardet, it is a reliable treatment alternative. “Once a patient gets their first chiropractic session, they have to continue getting it for the rest of their life”. Everybody goes to the physician for a yearly physical checkup or they go to the dentist for their regular clean-up. With chiropractic treatment, once the primary problem is under control or fully resolved, regular check-ups are prescribed, however, it is not compulsory. This is because of the way that your spine and joints are compressed by daily activities. It is suggested that you get monthly adjustments against the misalignments of the joints as a preventative measure, yet it is not a must. A few people just take an appointment when they cannot bear the pain, and then put a halt to the treatment when the problem is addressed. Others think that receiving periodical chiropractic treatment is more helpful to their well-being and general health. “Chiropractors are not genuine physicians”. In order to become a chiropractor, a few things must happen earlier and soon after graduation. To begin with, they should finish 2 to 4 years of pre-med schooling. From that point forward, they should finish 4 to 5 years at a chiropractic college. Just earlier or just after graduation from the chiropractic college, they should log in a few hundred clinical hours. This is a practical experience with actual patients. Once that has been finished, the last thing is passing the state and national board test(s). The educational program is close and practically as thorough as those going to medical school. If the adjustments are made by an authorized and exceptionally talented/experienced/ qualified chiropractor like Dr. Aaron Richardet, the danger of spinal damage is exceptionally unusual. More doctors are suggesting spinal modifications before a patient chooses to seek conventional procedures for treatment, for example, surgery and medicines. The dangers are significantly higher with all of the aftermath from medication and the probable obstacles of surgery. Chiropractic treatment is practically pain-free and is a substantially more secure decision. “Chiropractic can only treat back pain”. Chiropractic care can treat or help reduce the side effects of various conditions, for example, soft tissue problem/conditions, headaches, migraine, ear infection in kids, Autism, Fibromyalgia, depression and ADHD/ADD. Truly, the treatments may be highly effectual for back pain, neck pain, spine pain, alongside a plenty of different issue and conditions. Since you know about the myths and reality of chiropractic treatment, you can see a chiropractor in your state to benefit your health for better living. However, make sure the chiropractor you are going to visit has a license and is also genuine. Chiropractors may evaluate patients by the clinical examination method, diagnostic imaging, lab testing, and other analytical interventions to discover if chiropractic treatment is appropriate or not. In a few occurrences, chiropractic may be the leading and best strategy for treatment. With conditions like lumbar pain or chronic neck pain, this is often the case. Experts in the field such as Dr. Aaron Richardet have been treating people and helping them fight several diseases or conditions through chiropractic treatment and the body’s natural healing power.